Photo courtesy of Gretchen Richter de Medeiros. We had just spent two weeks in Rio de Janeiro, that marvelous city. Exhausted, but happy, we were packing to leave when we received a sad phone call: Rodrigo’s grandmother had died a few hours earlier in Natal. Her death was not unexpected. At 88 years old, Bisa* Bertha’s health had been deteriorating steadily over the past year. Regardless, everyone was struck by the loss. Rodrigo told me that we’d arrive *just in time* for the funeral. This news surprised me. How had my mother-in-law organized everything so fast? And how could other family members attend with such short notice? It was a weekday in early January, don’t they have to work? The small room was jam-packed with family, neighbors, friends, and church members, all dressed in their finest. (Just as I’d feared, we stuck out in our vacation attire.) Two religious officials spoke, while my mother-in-law and her sisters patted Bertha’s face, smoothed her hair, and held her hand. Grandkids and great-grandkids came to the coffin to kiss her forehead or cheek. I’d never seen so much touching of a deceased person. About 40 minutes later the coffin was closed and moved out to where Bertha’s husband, Biso* Raimundo, had been laid to rest a few years ago. The attendees followed. A short prayer was murmured, and the coffin was lowered into the ground. Cemetery workers placed heavy slabs of concrete upon it, and began shoveling dirt over top, all while we stood there. Gradually, people began to leave. Hugs, kisses, tears and handkerchiefs were shared. From death to burial, the whole situation was over in about 9 hours. As an in-law to this giant family, this funeral was touching and beautiful. As an American, it was culturally fascinating. Many things I’d come to associate with of death ceremonies and rituals in my homeland aren’t part of the Brazilian experience. In contrast, Brazilians usually bury people within 24 hours of their passing. An article in Brazil Business explains that this might be because bodies decompose quickly in tropical weather. Alternatively, maybe it’s because Brazilians “concentrate all their despair and pain in the funeral and from this perspective, it is a good thing that [it is fast and short]”. Telling stories about the deceased is a key part of American funerals. Officiants speak about the person’s life, sometimes getting quite detailed about their hobbies, personality quirks, successes, and community involvement. Family members and guests are invited to share their memories through eulogies, toasts, and guest books. Slide-shows, photo collages and videos are also displayed. 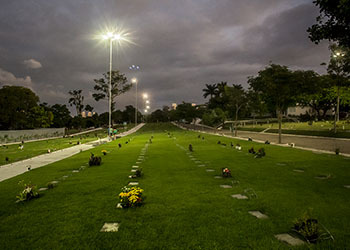 Brazilian funerals are overseen by religious officials who mention some details about the deceased’s life and accomplishments, but they focus more on prayer, descriptions of life-in-the-hereafter, and comforting words for the family. A family member or friend might share a very brief eulogy, but generally guests do not speak at the service. A growing number of US families host memorial services or “Celebrations of Life” instead of a public funeral. 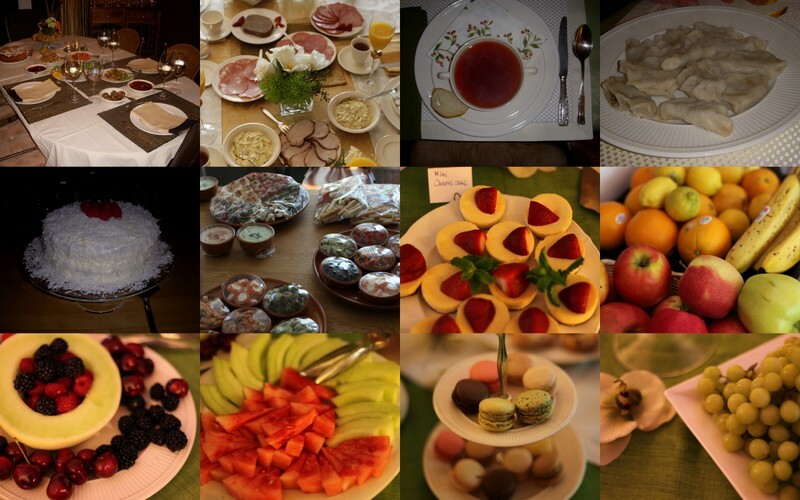 These events are like parties, with food and drink as a big part of the day. Sometimes meals are catered, other times guests help by bringing pot-luck dishes. In Brazil, guests don’t expect any food or drink to be served. Brazilians feel that the mourning family should not have to worry about feeding others during their time of grief and loss. Without passing judgment on one set of death rituals over another, I found it amazing how very different the Brazilian rites were from those I’ve experienced in the US.I recognize that both Brazil and the US are nations of immigrants – surely there are more types of ceremonies in each nation than I’ve personally experienced. But in the end, death is a certainty we all face, regardless of citizenship, religion, or race. People have developed rituals to cope with grief and loss the world over, and I’m grateful for the opportunity to have observed a different way first hand. Bisa is short for Bisavó, great-grandmother. Biso is short for Bisavô, great-grandfather. These are nicknames my children used for my husband’s grandparents. Gretchen Richter de Medeiros is Chief Planner and Writer at www.LearnLiveTravel.com. She has recently returned from an 11-month around the world trip with her husband, teen children and friend/teacher. Travel is her passion. Inspiring people to live their dreams is her goal. Follow her on Twitter @RDMgoRTW.